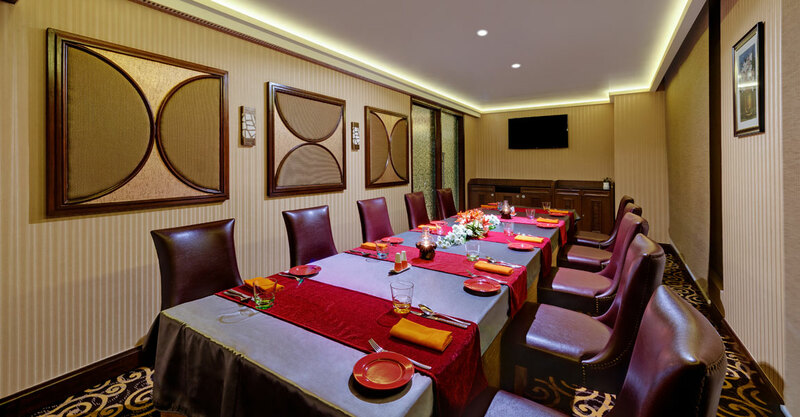 Private Dining Rooms at Ramada Plaza Chennai are the perfect spaces to hold your private corporate meetings, board meet-ups, formal Directors’ Lunch sessions and similar closed-door events from the corporate world. The spaces are equally good for small and intimate family celebrations to Kitty Parties with customised menus, a dedicated party host and board games. Private Dining Rooms are currently available at The Coffee Place and The Scallion, located at the Mezzanine floor and the Restaurant floor level respectively.